The race to get a world first clear for Uldir, World of Warcraft‘s newest Mythic raid heralded in by the Battle for Azeroth expansion, is heating up. 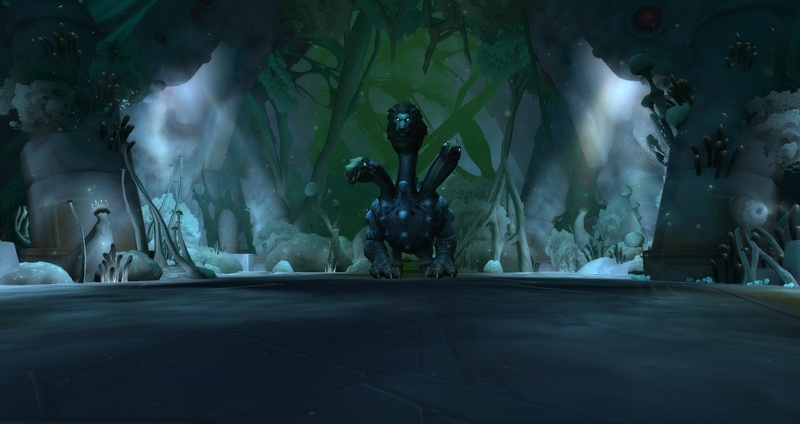 Uldir arrived just this past Tuesday and while select plucky guilds tore up the ruins on day one, they hit a major wall in Fetid Devourer: a chimera-like fight that’s mostly designed as a gear check with a quick enrage timer. It took not one, but two nerfs for top-level players to clear it: a common practice for overtuned bosses that require near-impossible numbers. Wait, nerfs? In bygone eras of the game Blizzard let it lie and only nerfed bosses in extreme circumstances (hello Mu’ru) when practically no one even had hope of clearing them, but the advent of the streaming era and the publicity of world-first races has given them pause: players can’t keep the hype going forever, and a week-ish clear race is roughly what they want. That seems to be the rough pace for Uldir so far. As a bit of background: in the previous expansion (Legion) The Nighthold, culminating with a bout with Gul’dan, took 11 days. Following that Tomb of Sargeras took 19 days to clear, and Antorus, the Burning Throne took just over a week at eight days. Of course things can also swing in a completely different way: Blizzard even admitted that Legion‘s very first raid, The Emerald Nightmare, was cleared too quickly in under a day. So it seems Uldir is going according to plan, at least so far, and after accounting for the aforementioned Fetid nerfs. Limit (US), Wildcard Gaming (US), and Method (EU – who started after most teams and are currently considered by many to be the best raiding guild right now) have all downed Fetid Devourer in sequential order, putting their total progress at 5/8 bosses cleared. But many teams aren’t too far behind with 4/8, including Big Dumb Guild, Exorsus, Memento, and Blood Legion. Fetid is a particularly strange fight in that it doesn’t require a whole lot of finesse to clear, and once you get it down to 50% health it goes into a state where it takes 50% more damage. The real challenge was knocking him down to that point and having enough damage to clear adds (additional enemies), an area that the second nerf targeted. You can watch the race on a variety of different channels but all eyes are on Method, who are streaming their in-depth progress complete with a commentary team. Insane, right? Again: it behooves Blizzard to facilitate this new world-first show as much as possible.